PlayStation 3 and Xbox 360 versions due early February. Legend Mode: Follows the storyline of the entire manga, starting with a re-imagined version of ‘Raoh’ and covering ‘Celestial Emperor’ and ‘Land of Shura’. This faithful adaptation ensures that this mode can be enjoyed by both fans of the manga and new comers to Kenshiro’s post-apocalyptic world. Different characters will be controlled for each episode while ‘boss’ encounters will feature entire famous scenes from the manga, recreated in intricate detail. Over 20 playable characters will be available, including Falco, Shachi, Shew and Juza. Dynamic new moves: The destructive power of the techniques of Hokuto Shinken and Nanto Seiken meet the intense action of the Warriors series to produce a thrilling experience. In addition to the signature moves of the first title, new actions such as ‘sprint’ and ‘dodge’ have been added to the move sets. Dream Mode: Introduces new, original storylines to the Fist of the North Star universe while bridging the gaps between parts of the main story, often focusing on some of the series’ minor characters. Online Co-Op and Versus Play: For the first time, Dream Mode will be playable in co-op or versus play via the internet. 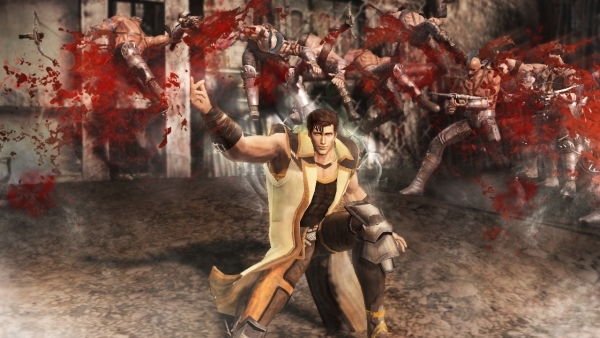 Tecmo Koei is also planning a variety of post-launch costume and stage add-ons.